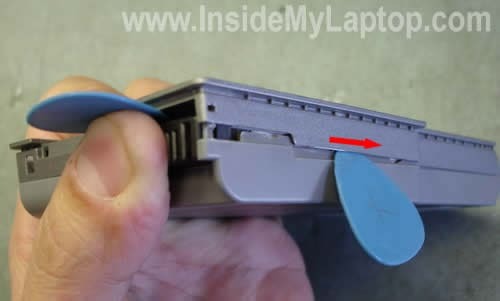 Here’s how I was able to open the battery from my Dell laptop. I had to take it apart because the locking mechanism on the battery was broken. 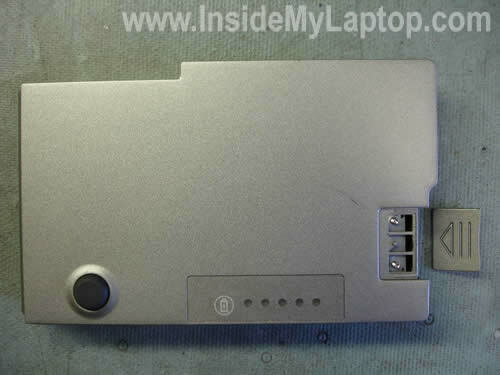 I decided to fix it by using the locking mechanism from another similar dead Dell battery. I wasn’t sure if I can open the battery because it looked sealed. To my surprise, it wasn’t difficult but you have to be very careful. If something goes wrong you can (and most likely will) destroy the battery or will not be able to assemble it back together. Proceed on your own risk. 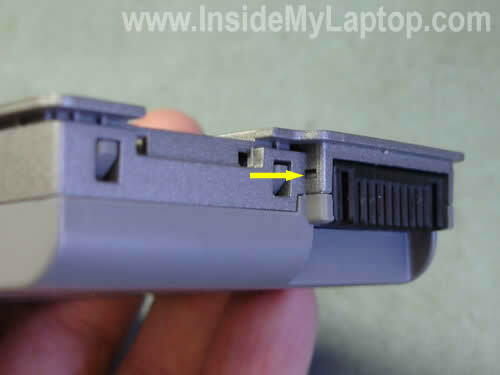 I found that my battery had two small latches close to the connector. One latch on the right side. The second latch on the left side. 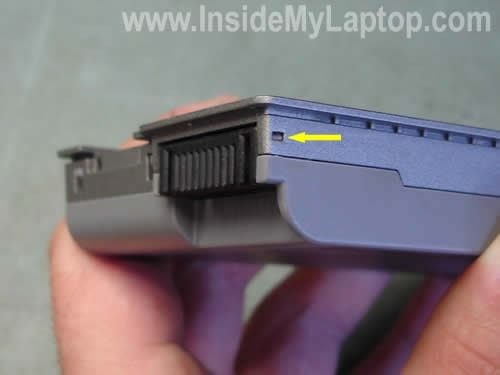 You can unlock latches with a small flathead screwdriver and insert something (I’m using a guitar pick) between the battery connector and cover to keep them separated. At the same time insert another guitar pick between the battery covers on the side and move it along the side unlocking hidden latches inside. 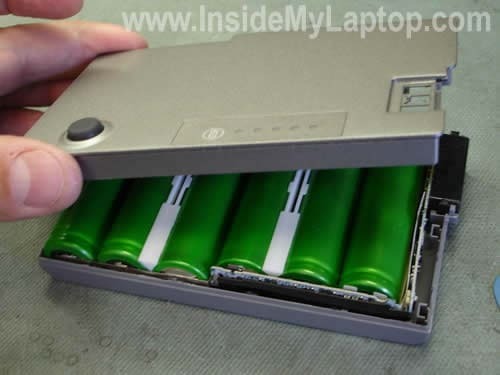 Do the same with the second side of the battery. Keep working with the guitar pick until both covers are separated. 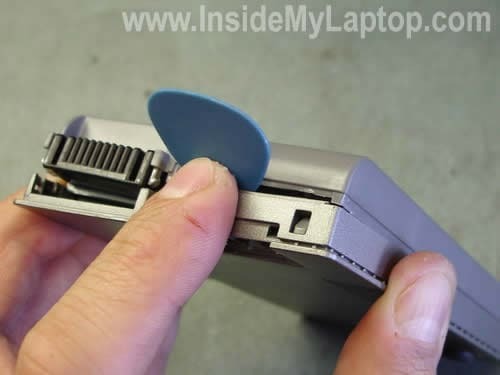 Now you can remove the cover. The battery has been disassembled. 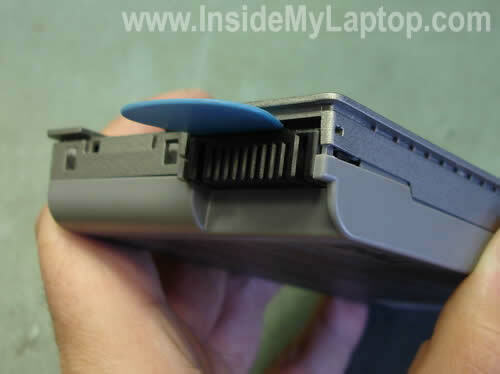 After that I opened the second (dead) battery and transfered the locking mechanism to the working battery.